Jax Wax MFTSPE1616 - Super Plush Edgeless Microfiber Towel 16" x 16"
Jax Wax MFTW - Scratchless Waffle Weave Microfiber Drying Towel 16" x 16"
Care instructions: Machine wash. Tumble dry low, do not iron. Do not use fabric softener as this would clog the microfibers and reduce performance. Do not use chlorine bleach. Wash with like materials to maintain proper dirt-gripping properties. JEGS Microfiber Towels will lift dirt, dust, and grease then trap them in until washed. Microfiber works by attracting dust and other particles like a magnet and traps them within its fine filaments. These towels are safe to use on all surfaces around the home, car, RV, motorcycle, aircraft, or boat. They won't scratch paint, clear coat, or plastic. JEGS Microfiber Towels are proficient even when cleaning without chemicals. Use them dry, and they will work like a charm without scratching, linting, or streaking. Use them wet, they absorb 7 to 8 times their own weight in water. Due to their exceptional quality, JEGS microfiber towels can be washed and reused hundreds of times. 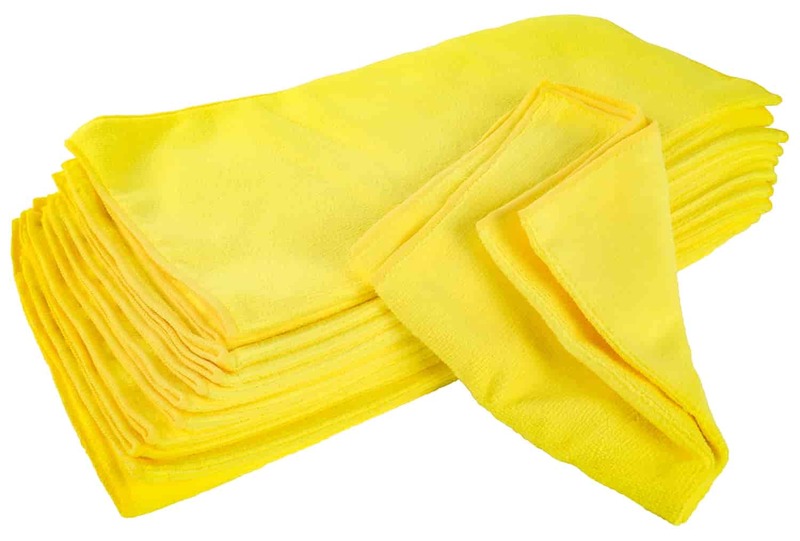 JEGS Microfiber Towels are an extra large 16" x 16" size, colored yellow and come in a pack of 12.